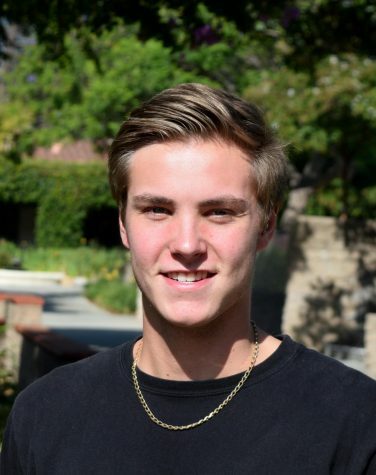 Eric Evans (‘19), a day student from Upland, is a staff writer on the Journalism team. Eric is on the varsity baseball team and contributes as both a pitcher and a catcher. Eric has been playing baseball since he was four years old; he hopes to attend a sports college so he can start playing baseball professionally. Along with pursuing his athletic dreams, he hopes to earn a business degree in university. Eric enjoys fishing and claims that Mammoth and Yosemite are the best spots, but usually goes spearfishing more locally in Laguna or San Diego. You can find Eric mountain biking in the hills behind Chandler Field, La Verne, and San Clemente.